Excuse me? From any perspective imaginable this is a terrible idea. Let’s look at it principally from a system balance perspective and ask—what is it you are trying to realize from the addition of an appropriate partnering REL? If we’ve done our job properly, an informed customer should be seeking to add the foundational bass that is the entire structural under-pinning of their system. The REL(s) is/are the single most cost effective way to dramatically transform your system from a technically good, but frequently uninvolving, lifeless stereo system to a thing that lives and breathes the soul and pulse of music or film. No matter what media or resolution, the appropriate RELs can uplift a system and make it soar. But guys, seriously? Trying to squeak our second to smallest model under a $20,000 speaker plus another $20,000 worth of electronics, source components and cabling is a silly mismatch. It means these customers have little understanding of the work—in a physics sense––that is being performed by the subwoofer. Fact: 90+% of ALL the energy being produced in a system resides BELOW 50 Hz. In the example above, it means that a customer who has allocated some $40,000 has decided that in this miracle universe which he inhabits, he can somehow dramatically improve his deep bass performance for less than .2% of the cost of the system. 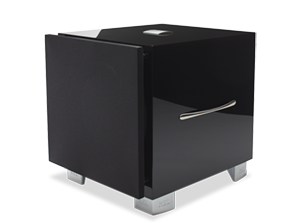 Moreover, connecting up a single REL to balanced differential monoblocks is a no-no that we explicitly discourage as it can lead to hum, oscillation and in some cases overheating of the main amps. Bad idea, please don’t ever do it. For frame of reference, the correct match for a pair of modern 802’s, even the new D3 versions would be a stereo pair of S/5 SHO. In a larger room the 212SE’s mate beautifully and will transform this system. So please, keep the inquiries coming but do get more realistic and build your understanding of room acoustics, your needs and the very hard work being done by a REL or a stereo pair of them. Please visit our Speaker Pairing tool to choose the right REL for you.